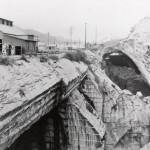 The Carving Studio and Sculpture Center is one of seven exhibition venues around the state responding to the theme “Of Land & Local”. 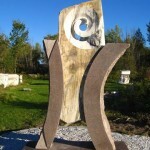 Burlington sculptor Kevin Donegan explores the nature of relationships- between people, between stones, between the artist and his medium- in his carvings. 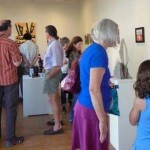 The Annual Members’ Show will be held at the Gallery at 259 Marble Street in West Rutland. 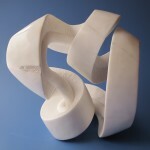 The Carving Studio and Sculpture Center welcomes Polish sculptor Joanna Sokolowska as Artist in Residence during the 2014 summer season. 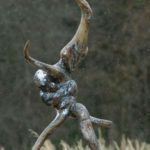 The wood sculpture of Donna Dodson celebrates the mystical relationship between human beings and the animal kingdom. 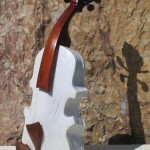 The Carving Studio and Sculpture Center welcomes Alasdair Thomson, Scottish Artist in Residence during the 2014 summer season. 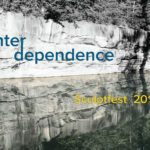 The Carving Studio and Sculpture Center hosted SculptFest2014 at its historic grounds on Marble Street in West Rutland from September 13-October 26, 2014. 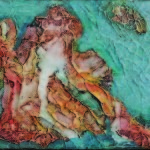 The Carving Studio and Sculpture Center will host “Lost Treasure,” an exhibition of paintings by local artist Rita Fuchsberg beginning April 3, 2015. 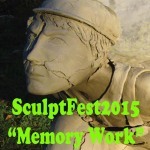 WEST RUTLAND, VT- The Carving Studio and Sculpture Center invites sculptors to submit proposals for SculptFest2015, September 12-October 25. 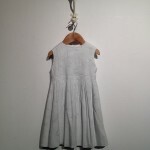 The Carving Studio and Sculpture Center announces the opening reception for the Annual Members’ Exhibition on Saturday, May 16, 2015 from 5:00 to 7:00 PM. 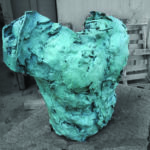 The Carving Studio and Sculpture Center hosts New York sculptor Stephen Schaum as Artist-in-Residence during June 2015. To celebrate the ongoing Vermont/Italy relationship, we will be hosting a variety of exciting talks, presentations and films for “Italian Week. 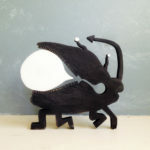 An exciting group of artists will present sculptural installations and performances for SculptFest2015 at the Carving Studio and Sculpture Center. The countdown is on for the 2016 Marble Mardi Gras at the Rutland Country Club, March 5, 5:30 PM. 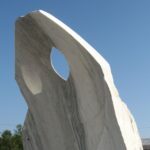 The Carving Studio and Sculpture Center (CSSC), with the Vermont Farmers Food Center (VFFC), announce an opening reception Saturday April 30, 11 am, to celebrate the temporary installation of Borne, a monumental marble sculpture, at the Winter Market location, 251 West Street. 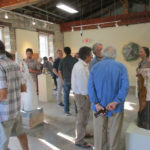 The Carving Studio and Sculpture Center announces their Annual Members’ Exhibition, May 28-June 26, 2016 at the Gallery, 636 Marble Street in West Rutland. 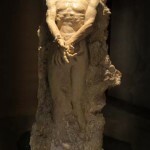 The Carving Studio and Sculpture Center hosts sculptor Robert Haskell as Artist in Residence during June 2016. 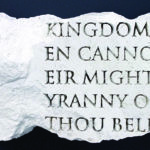 The Carving Studio and Sculpture Center announces the opening reception for an exhibition of work by Bill Wolff on Saturday, July 9, 2016 from 5:00 to 7:00 PM. An exciting group of artists will present sculptural installations and performances for SculptFest2016 at the Carving Studio and Sculpture Center. 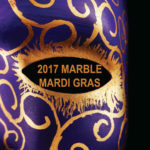 Kicking off the 30th Anniversary year of the Carving Studio and Sculpture Center, the Marble Mardi Gras will be held at the Rutland Country Club, March 4, 5:30 PM. 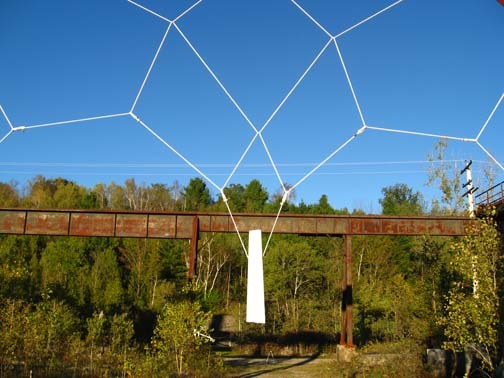 Join us at Giorgetti Park in Rutland on Thursday August 31, 2017 at 5:00 p.
WEST RUTLAND, VT- An exciting group of artists will present sculptural and video installations for SculptFest2017 at the Carving Studio and Sculpture Center. 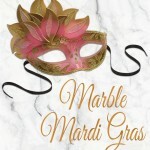 The Carving Studio and Sculpture Center’s Marble Mardi Gras will be held at the Rutland Country Club, March 3, 5:30 PM. The Carving Studio and Sculpture Center announces the Annual Members’ Exhibition, June 9-30, 2018 at the Gallery, 636 Marble Street in West Rutland. Hinging on the tensions between truth and fiction that inform our understanding of history, the sculpture of Darryl Lauster investigates the American past and present. 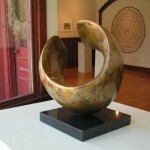 The Carving Studio and Sculpture Center presents an exhibit of Recent Work by sculptor Ed Smith. 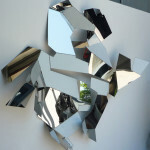 An exciting group of artists will present sculptural and video installations for SculptFest2018 at the Carving Studio and Sculpture Center.